Free Trial Bitdefender Total Security 2017 for 3 Months. This is an Absolute offer. It means on a normal basis they will give you 1-month free trial but this time you will get 3 months. This amazing offer is avail only for limited time and for the limited users. So, hurry up before the offer expired. Bitdefender ranked #1 on PC Protection and Security Maintainance. It's the first choice of every user who worked among with privacy things. Like; Online banking, online transaction, PC safety, etc. This protects your Windows, Android, or Mac PC from Malicious Viruses. This Anti-Virus software is recommended by many famous magazines Editors like; PCMag, Forbes and much more magazines. Bitdefender Total security gives you all in one box for all of your devices that is Windows, Mac, Android or other. So now no any requirement for separate security plans for the specific device, Move with Bitdefender Total Security and you’ll have it's compelling and useful features. 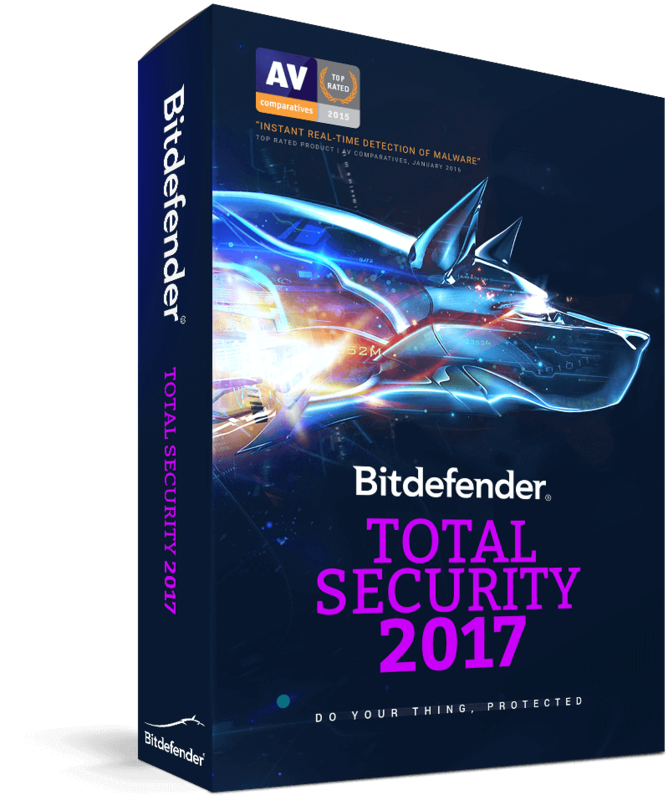 The regular Price of this edition is about Rs 1499 on Amazon but if you will buy Bitdefender total security 2017 from our blog then you'll get extra 62% discount. It means you'll get this at only Rs 577. This offer is also limited time only. This includes 1 year for 1 PC offer. If you want to Grab free trial offer and want to know how to download and install Bitdefender Total Security 2017 then Read Following Easy Steps. Open email address and click on Install Bitdefender Button. Now, you'll be redirected to Bitdefender Central. Log in or Sign up with that email address. This offer is applicable for only Windows Users. So, Select Windows from Popup Menu. Download and Run Bitdefender Installer. If you want to download free trial Bitdefender total security 2017 offline installer then visit below link to continue the installation procedure. This procedure again needs an online installer to run an offline installer. So, follow the steps to install Bitdefender total security without the internet. These offline installers are not availed directly to download. So, that's why we have already given you the offline links for the offline users. Once it begins downloading the needed files, close it and follow the next step. Run the offline installer and it should install without any problems. If you're stuck at something like an error, or bug then feel free to ask us what to do next. If you did these all steps carefully then You'll successful in running this Anti-Virus. If any case we did not here for your help then you can click on below link and contact them directly on their official website.